Canada’s carbon emissions cannot be stabilized using plans that are acceptable to the capitalist classes and their interest in endless accumulation. An ambitious vision of ecosocialist alternatives must connect restructuring of work to wider social transformations. 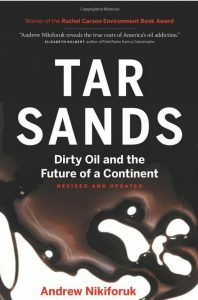 Video: Robert Redford explains why the tar sands are good for oil companies but deadly for the Earth. The term oil sands was invented by public relations flacks, to divert attention from just how dirty the Alberta bitumen deposits are. 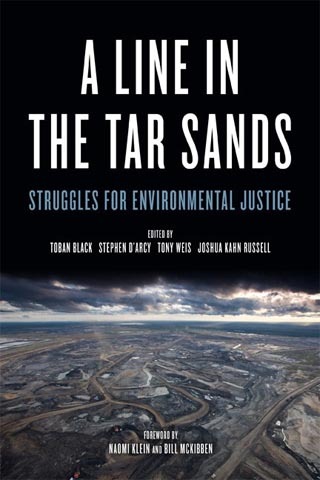 Andrew Nikiforuk explains why tar sands is the right name. Oil-by-rail should be banned for safety reasons, but the explosion also adds to the argument for an urgent, emergency shift away from the extraction and burning of fossil fuels. People whose water, air and homes are endangered by Enbridge Line 9 have been refused the right to testify. We’re fighting back anyway.